Events in February and April – Save the Dates! Jazz party “Overseas Stories” will take place on February 21st. You’ll be able to participate in a speech competition with your own short overseas story, listen to jazz band “Jazz Idea” and network with fellow toastmasters. The party starts at 19:30 in pub “Anton Palych” (Tsvetnoy blvd, d.26, s.6). Further information is available in the facebook event. To participate please register here. Moscow Area Spring conference is scheduled for 13-14 April. The program will be announced soon, but be sure there’ll be contests, international speakers, useful workshops and loads of fun! Follow this link to see details and this link to register! You need even more opportunities for networking, getting to know your fellow toastmasters better, learning about your subject of interest from someone with firsthand experience or finding a companion for your new adventures? 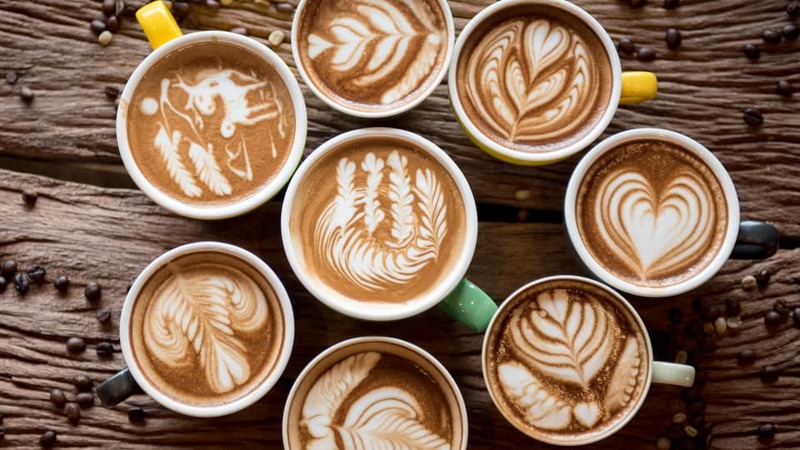 Then Random Coffee Project at Toastmasters is for you. 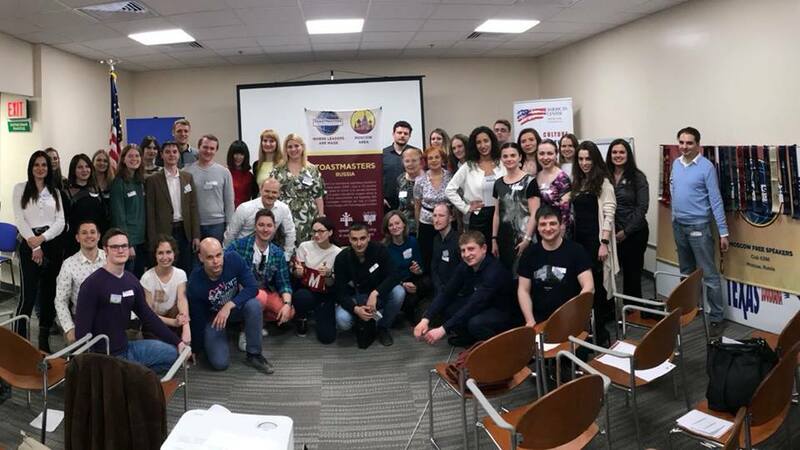 By the way, this project has been introduced by our member Anna Lioznova in our of her speeches – best example of Toastmasters benefiting both the speaker and the community! You register at the link, providing your contact details and answering some questions about yourself. Every two weeks you receive an email with the name and contact details of another participant. You meet your partner within two weeks for an hour – you can have coffee (hence the name of the project), beer, take a walk – anything which allows for an uninterrupted conversation. You provide feedback to the organizers. You have a chance of meeting new like-minded people, of seeing an unexpected side of people you already know or – who knows? – making friends for life! 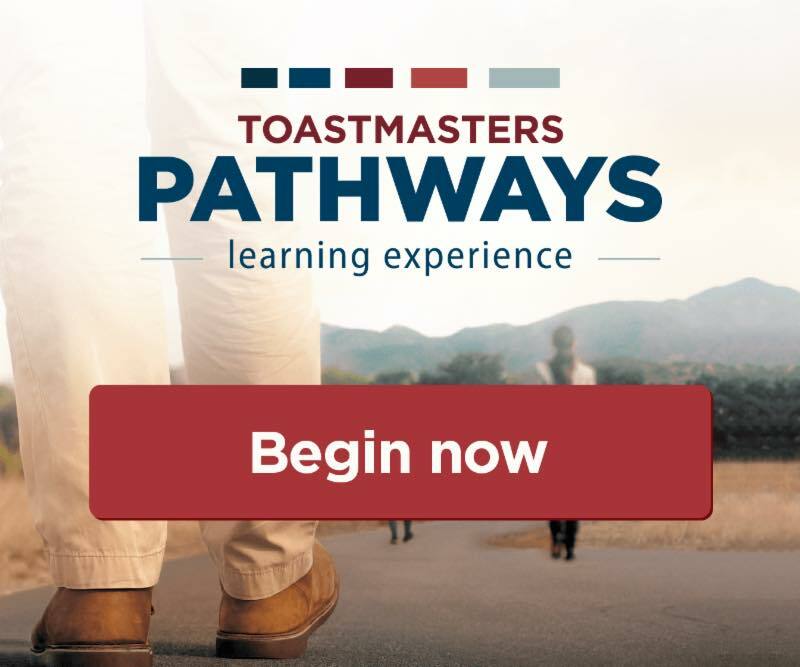 inviting you to join main Toastmasters events of December 2018! 8-9 December: Moscow Area Winter Conference. 15 December: Toastmasters New Year Party. Follow the links to find registration forms and payment details. 31 October: Master-Class by Natalya Tokar “Spontaneous conversations in business and life”. UPDATE 29 October: event rescheduled to 15 November. Moscow Free Speakers Club in cooperation with Moscow Exchange is glad to invite you to the masterclass of Natalia Tokar! Topic is “Spontaneous conversations in business and life”. Master-Class will be held on English and will bring lights on how to develop fluency in your business conversations, how to better handle interruptions during serious presentation and answer unexpected or strange questions which are especially challenging when you need to react spontaneously on your non-native language. Registration through this form is required! Only registered guests are allowed to get in and number of places is limited! So hurry up! It is necessary to take your passport in order to get into the building. We encourage you to come in advance for registration, doors open at 18.30. Don’t forget to take a notebook and pen for your thoughts and insights. Natalia is a renowned public speaker and coach. She builds communication bridges between Russian professionals and their foreign partners, clients, and colleagues. Natalia helps both businesses – expand to foreign markets, and people – make the right steps towards a fulfilling international career. Natalia is the Founder of UpSkillMe and author of the first course in Russia “Public Speaking in a foreign language” for business people. Her clients are leading professionals from VTB24, Ikea, Ritter Sport, JLL, Universal Media, etc. Don’t miss your chance to take part in this event! 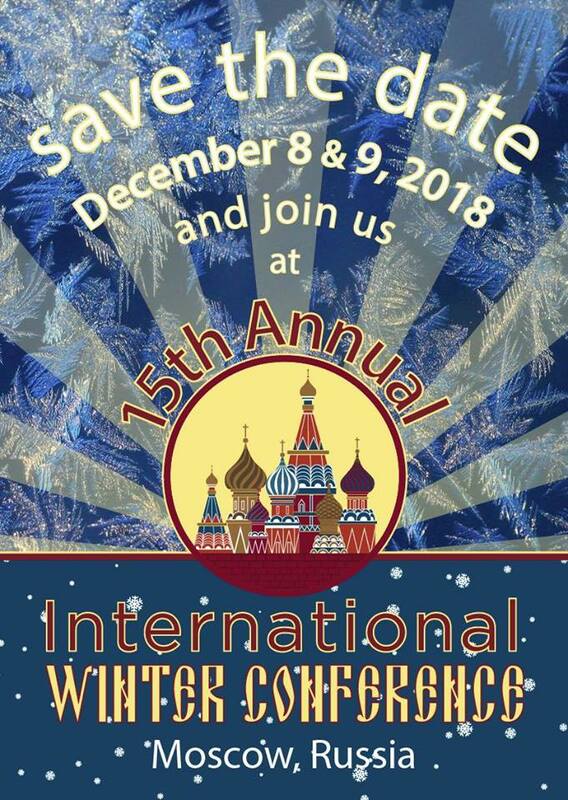 Save the dates December 8-9th from now, because this is when our 15th Annual International Winter Conference will be taking place that you just can’t miss out! This is a special event for all Toastmasters clubs in Russia, preparation for which starts long in advance. No wonders there, since this is when contestants from all Russian clubs get the chance to become the winners of Area Winter Conference 2018, and they are going to fight for it (in friendly ways, of course). Besides learning from performances of the best speakers on stage, you’ll find our Winter Conference to be a perfect opportunity for learning new things from experienced Russian and European Toastmasters who will prepared multiple workshops for you. For our guests visiting us from outside of Moscow, we’ve prepared a variety of activities to show you our city in all it beauty. The exact location and the program will follow. The MFSC is introducing the new procedure for meeting registration. From the meeting of 30 August and on, all visitors (guests, MFSC and other club members) should notify the club about their participation by filling the registration form at least 1 day in advance before each meeting. This is important because we send all our visitors names to Gorniy Institute Security so they can let you in! Please let us know that you are coming, it won’t take much time! Looking forward to see you on our meetings! Dear Moscow Free Speakers Club Members and Guests! This July the new Toastmaster year has started and we are thrilled to present to you the new committee that will be helping you to improve your public speaking and leadership skills and advance your English mastery. in a star-shaped figure – our Secretary Olesya Timerbulatova (ask her if you want to have a minor role!). This new team will be organizing the club meetings for the following year, making sure that everything goes smoothly and that all the members and guests have opportunity to advance their communication and leadership skills. However, we need your help to do that. Currently we are looking for volunteers to fill two roles: Assistant Secretary and Assistant VP Public Relations. If you’re interested or you think you could help us with some minor tasks – let our President know via president@moscowfreespeakers.ru. And remember that your participation is most important – be it in the form of prepared speeches, or table topics discussions, or giving evaluation. We hope to see you at our meetings and wish you an interesting and productive toastmaster year! Many thanks to all contestants for their speeches and congratulations to winners! Wish you to keep going and growing! Click here to learn more about Moscow Area Spring Conference.